Business nowadays is changing every time. Price lists, discounts and special sales are changing everyday every week or every month. 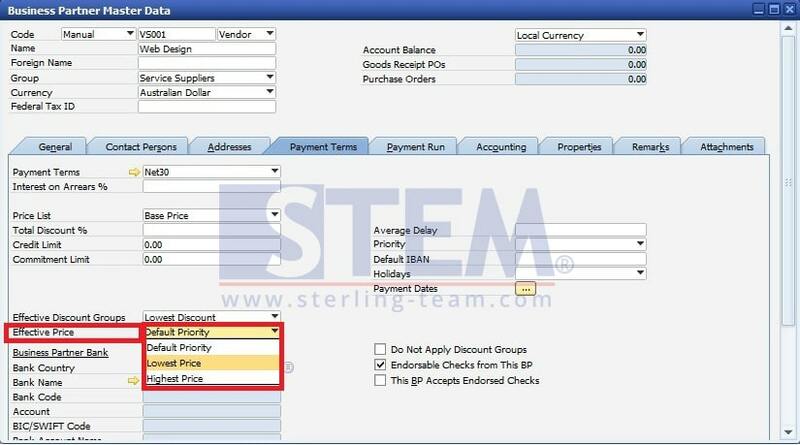 In SAP Business One, a default price list accompanied by discount groups and special prices is assigned to a Business Partners. It effects the final price of the item or services. Effective Price and Net Price. What is the difference? 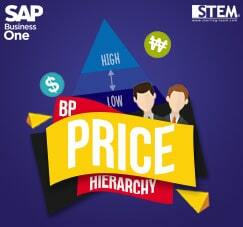 Now, we want to take a deeper look at effective price on BP’s. This pricing option seems very flexible. But in some cases, you can use the option to set up pricing hierarchy. Just open the Business Partners Master Data you want to set the pricing hierarchy. Then, open the payment terms tab and find effective price field. You can change the existing pricing logic in the effective price field, to define whether lowest price or higher price should be applied to the business partners. Only applicable on SAP Business One 9.3 and above.